Andy Murray is yet to make a final decision on whether to have hip surgery but has pulled out of a tournament in Marseille next month. The former world number one headed home from Melbourne earlier this week, following his emotional first-round defeat by Roberto Bautista Agut at the Australian Open, weighing up whether to have a resurfacing operation that could extend his career or end it completely. Even if Murray does not have the operation, he has stated he would spend the time getting ready for a farewell appearance at Wimbledon, so it was no surprise to see a statement from the Open 13 in Marseille announcing Murray’s withdrawal. 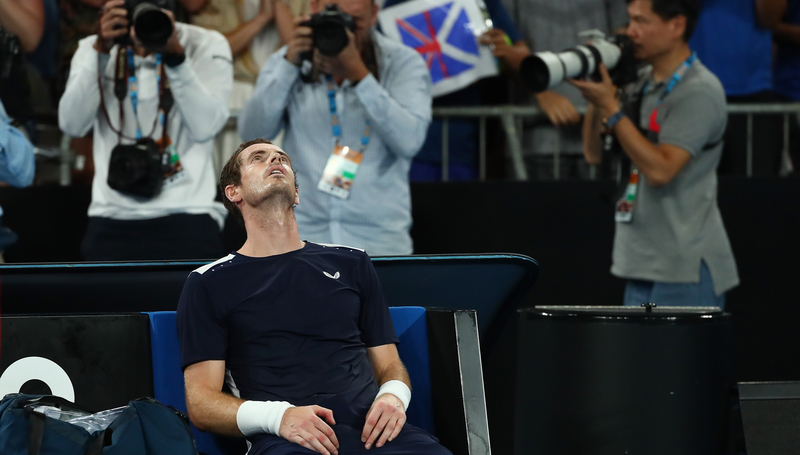 He will also miss tournaments he had committed to in Dubai and Montpellier but Murray’s management insisted he has not made a final decision about surgery. 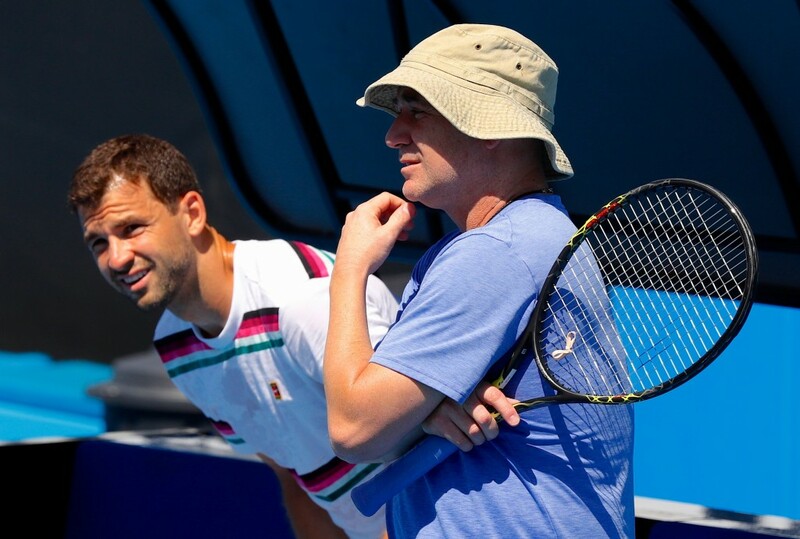 The 31-year-old strongly hinted ahead of his departure from Melbourne that he would have the operation, and was encouraged to do so by American doubles great Bob Bryan, who is playing at the Australian Open five months after undergoing the same procedure. Simona Halep is the current world No. 1 in women’s tennis and has spent 64 weeks at the summit of the rankings. The Romanian is a national hero back home, is one of the WTA’s biggest stars, and has earned north of $28million in prize money alone. Not to mention her endorsement deals with Mercedes-Benz Romania and Nike among others. Her consistency on court is admired by her peers, her fighting spirit keeps growing by the minute (have you watched her battling wins over Kanepi and Kenin this week?) and her fans chant her name in three ever-so-familiar syllables heard in stadiums across the globe. Yet the thing that will strike you the most about Halep is how “normal” she is. The other day, I got on the Australian Open shuttle bus that transports players and media to the tournament and the first person I bumped into was Halep. She could have easily taken an Aus Open courtesy car but she didn’t. Apparently she’s been taking the shuttle bus all week. “You saw me on the bus, huh? I love it,” she told me with a laugh when I asked her about it. Considering I saw Bernard Tomic storm off in his loud ‘Batmobile’ from the very same hotel where Halep takes the bus just the previous day, I couldn’t help but find it amusing how unassuming the world No. 1 really is. She stays at the official tournament hotels with everybody else while other stars opt for fancier or more private accommodation. She reminds me of when Andy Murray declined the Dubai tournament’s offer to put him up at the seven-star Burj Al Arab hotel in favour of the on-site hotel so he could be with his team, and avoid unnecessary traffic to and from the tennis. 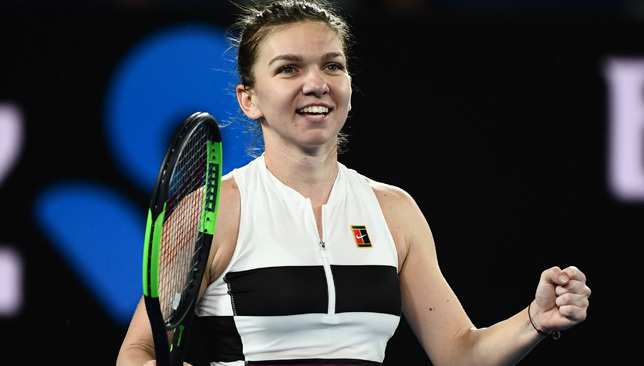 Halep says keeping things simple is part of her nature. “I will never change the things. It’s much better to be like this. I do these things naturally,” she said. She really is the People’s Champion! Andre Agassi is here at the Australian Open as Grigor Dimitrov’s coach and had a press event on Thursday at the Lavazza café onsite. While he admitted he hasn’t been following the next generation of players closely, he did light up when he was asked about Stefanos Tsitsipas specifically. “I enjoy watching him. I think it’s been wonderful to see how quickly he’s adjusted to faster surfaces,” said Agassi of the 20-year-old Greek. “When you look at him at first glance, it’s easy to see a big guy with long swings, who might struggle as the pace of the game picks up on faster courts, but he’s a competitor and he’s making little adjustments that’s proving that he can hang in there on multiple surfaces, which will give him a lot of looks. He’s going to have to be dealt with, he’s not going to give it to you. Thursday night witnessed the latest ever start of a match in the history of the Australian Open as Johanna Konta and Garbine Muguruza started their match 30 minutes after midnight. The previous match on Margaret Court Arena went on for too long as Alexander Zverev went up two sets to love, then dropped two sets before defeating Jeremy Chardy 6-1 in the fifth. During the fifth set of that men’s match, organisers said they would move Konta-Muguruza to Court 3. A plan that was later ruined by the fact that there was too much seagulls poop on the court and all the cleaners had already gone home. Only in tennis! Us in the press room certainly felt his pain! That was the same night that saw Lleyton Hewitt respond to Bernard Tomic’s claims that he gives preferential treatment to certain Australian players, among a list of other accusations. Hewitt in turn said on Thursday night after his doubles match – with his partner JP Smith sitting silently next to him throughout the entire press conference – that Tomic has been “threatening and blackmailing” him for over a year, he described him as a “clown” and vowed that he will never select him for Davis Cup duty. Just a regular night for Australian tennis! The cameras in the tunnel that takes players onto Rod Laver Arena showed Naomi Osaka, who was warming up for her second round against Tamara Zidansek, congratulating her fellow Japanese Kei Nishikori, who had just walked off court following an emotional five-set victory over Ivo Karlovic that lasted nearly four hours. Osaka was asked later what she told Nishikori at that moment. “You had a very, very long match. I had to warm up four times, so thank you for that,” she revealed with a laugh. 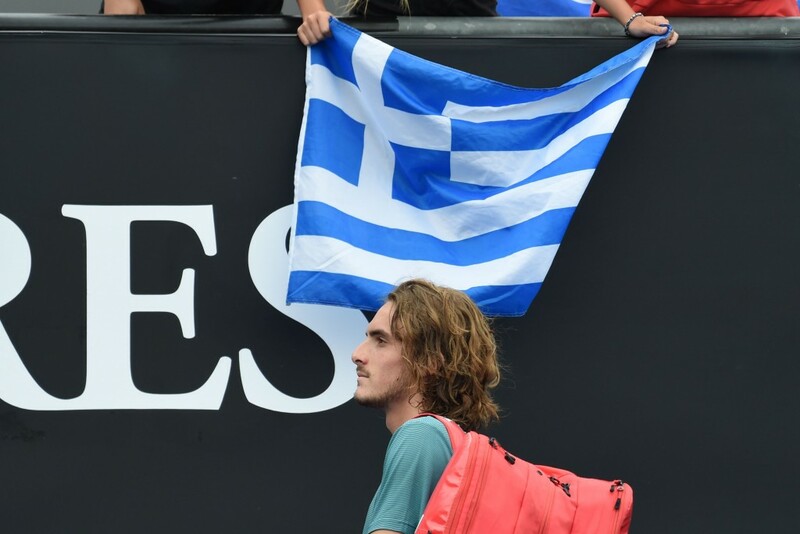 You never know what you can get in a press conference and in Tsitsipas’ case, it was a Greek restaurant recommendation from a journalist, who actually handed the restaurant’s card to the player, assuring him he wasn’t getting any commission for this. Tsitsipas jokingly questioned the reporter’s motives, wondering why he was walking around with the restaurant’s card. “I’ve been going there for 25 years,” said the reporter. “Even more reason to think there’s more to this,” laughed Tsitsipas. I still think he’s not convinced! Meanwhile, Sharapova had the following exchange in her press conference on Wednesday. Q: You said on court it’s past your bedtime. What is your bedtime? Sharapova: 10:30. Like in bed at 10:00, sleep by 10:30. My boyfriend challenges it quite a lot, but 10:30 is my time. It’s been a good couple of days for some of the shorter players on tour as 173cm Thomas Fabbiano beat 211cm Reilly Opelka before 178cm Nishikori overcame 211cm Karlovic, who hit 59 aces but still lost. In his on-court interview, Nishikori was told Karlovic hit 60 aces against him. “That’s almost my one year of aces,” admitted Nishikori. American Next Gen player Frances Tiafoe took out No. 5 seed and last year’s Wimbledon runner-up Kevin Anderson in four sets on Wednesday. 3 – games dropped by Sharapova en route to the third round. Agassi is an ambassador of Lavazza. Andre Agassi believes Novak Djokovic is on track to win two Grand Slams each year for the next couple of seasons at least, the American told reporters at the Australian Open on Thursday. Djokovic hired Agassi as a coach at a period when the Serb was struggling, both physically and mentally, and they parted ways last April after an 11-month partnership. Since then, Djokovic has managed to recapture his form, winning Wimbledon and the US Open after undergoing elbow surgery last February. He returned to the No. 1 spot in the world, after dipping to as low as 22 mid-season, and reunited with his old team, spearheaded by head coach Marian Vajda. Asked if he believes Djokovic would have got back to such heights had they continued to work together, Agassi said: “It’s a good question. It’s hard to get inside somebody’s head. My hope was that I added but it takes two, you know. There’s probably a lot of things along the way that I was force-feeding, and I don’t know if that takes a while to process or I don’t know if I created more angst in his life but at the end of the day, tennis is getting the results of what it deserves, which is him being at the highest level. Djokovic has taken his total Grand Slam tally to 14 titles, and is now three behind Rafael Nadal on the men’s all-time list, and six behind Roger Federer. At 31, Djokovic is 10 months younger than Nadal, who just returned from a knee injury and ankle surgery, and nearly six years younger than Federer. Time seems to be on his side in his pursuit of Federer’s record. “I was convinced when we started he would win two [Slams] a year for the next three or four years and he’s certainly on pace for that,” added Agassi, when asked if he believed Djokovic can catch up to Federer. Agassi is back in the coach’s seat helping Grigor Dimitrov alongside Dani Vallverdu. Dimitrov rose to No. 3 in the world after winning the ATP Finals at the end of 2017 but struggled to build on that momentum and has slipped to his current position of 21 in the world. The gifted Bulgarian, who was a semi-finalist in Melbourne two years ago, is still searching for that major breakthrough and a level of consistency that matches his highly-touted talent. “It’s going great. I couldn’t be more thrilled with who he is as a person and how close we’ve sort of become so quickly,” Agassi says of his partnership with Dimitrov. Expanding on his vision for Dimitrov’s game, Agassi said: “In my estimation there’s three clear parts of tennis: There’s when you’re in control, there’s neutral and then there’s defence. When he used to be in control, he did it with risk, when he used to be neutral he was quickly falling behind, and when he was behind he didn’t have a lot of transition, he just had a lot of horsepower. So if you can do the dance between those three parts and play to your strengths and use your speed in a more offensive, proactive, controlled way, it’s a big difference. There’s a lot more to it than that but that would be more the technical side that has kind of limited his ability to – that you have to work too hard if you don’t do it smartly, right? 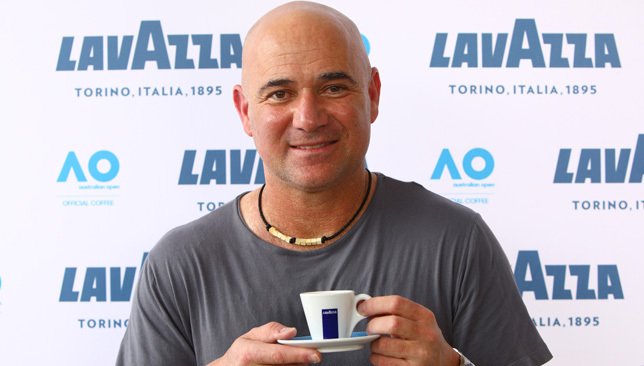 * Andre Agassi was speaking at the Lavazza Cafe at Grand Slam Oval at the Australian Open on Thursday. He is a Lavazza ambassador.